Proper alignment between the motor shaft and the input shaft saves you money. It increases both the life of the coupling that connects the shafts and the life of the bearings that support them. 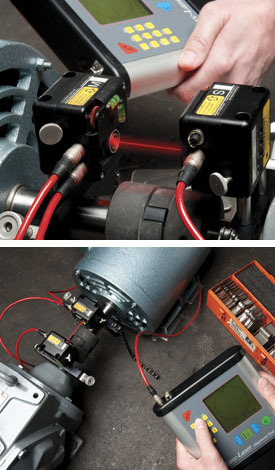 Our laser alignment equipment allows us to be certain that the motor shaft and the input shaft of the equipment are both on the same center of rotation. Contact us soon; start the payoff!